여기 여러 가지 런던 경험, 투어 & 티켓을 찾을 수 있습니다! 웨스트 엔드의 뮤지컬과 축구 티켓 스파클링 가이드 관광 투어 등 마담 투소, 런던 아이 와 해리 포터 워너 브라더스 스튜디오 투어 등의 관광 명소! 받은 편지함으로 E-티켓! Ticmate는 국경없는의사회를 지원합니다. Ticmate 자선에 대해 자세히 알아보십시오. 뮤지컬, 웨스트 엔드쇼, 관광 명소 및 관광 투어 티켓, 박물관, 운송, 축구! Ticmate에서 온라인으로 런던 티켓을 예약하세요! 25%의 할인 혜텍이 있는 팃켓을 예약해보세요! 세계적인 명소로서 마담투소가 밀랍 인형들이 전시뿐만이 아닙니다. 인형들을 가까이 가서 만져도되고 유명인이랑 사진을 찍으을 수도 있습니다. 그런데다가 여러가지 상호 작용하는 전시를 (Spirit of London Taxi Ride, the Star Wars Experience등) 즐길 수 있습니다. 미리 입장권을 사놓으시고 Priority 입장으로 들어가세요! Visit two of London's most popular attractions - Madame Tussauds and Coca-Cola London Eye! If you buy your 2-in-1 London Combo Package online you save $45 compared to buying the tickets individually at the door. Book your combo deal online and save 45%. 해리 포터 영화 장면 투어 뒤에이에 살아 왔는지를 참조하십시오. 당신은 당신이 항상 뒤에서 가서이 놀라운 영화가 어떻게 제작했는지에 대해 알고 싶어 모든 것을 배울 것입니다. 여기 해리 포터와 워너 브라더스 스튜디오 투어 티켓을 구입하세요! 런던 아이에서 런던 시내의 멋있는 전경을 관람해보세요! 티켓을 예매하시면 매표소보다 20% 할인 혜택도 얻으세요. 이사이트에서 입장 시간이 정해져있는 티켓을 구매하시면 매표소에서 줄서기를 비하는데다가 예약 된 관람차의 캡슐을 타십시오. 최고로 가격이 좋은 옵션입니다! 개트윅 공항에서 런던 시내까지 개트윅 익스프레스 기차를 타고 가세요! 미리 표를 예매하시면 시간을 악기시고 바로 기차를 탈 수 있습니다. 여행시간은 약 35 분 됩니다. Travel to London City from Gatwick Airport with the Thameslink trains! This is an economical alternative to the Express trains. With our prebooked tickets you jump directly on the train and avoid the line at the ticket machine. The trip takes about 1 hour. Book online from home! Choose our amazing 3-in-1 combo package and get access to Madame Tussauds, London Eye and the London Eye Cruise for half the normal price at the door. Get the fastest access possible to some of London's most popular attractions and save 50% on your entrance tickets. 런던의 타워 왕관 보석, Beefeaters, 블러디 타워, 그리고 반역자 문을 볼 수있는 기회를 제공합니다. 런던 역사의이 중앙 부분을 놓치지 마십시오. 런던 아이라는 회전 관람차의 입장시간이 정해져 있는 Fast Track 입장권을 예매하시면 줄서기를 피하실 수 있습니다. 온라인에서 티켓을 구매하시면 매표소 및 관람차의 캡슐은 skip the line 됩니다. 이 입장권 옵션은 가격 및 편리한 입장 관점에서는 최고의 티켓이랍니다. 자신의 가정의 안락에서 런던시 전체 여행을 계획합니다. 당신도 집으로 떠나기 전에 리버풀 스트리트 역에서 스탠스 테드 공항에서 티켓을 구입할 수 있습니다. 미국에서 바로 런던 시티를 통해 전체 여행을 준비한다. 당신이 집을 떠나기 전에 패딩턴 역 히드로 공항에서 티켓을 구입할 수 있습니다. Phantom of the Opera is the musical of musicals. Andrew Lloyd Webber's masterpiece has been playing in London for over 25 years and continues to captivate audiences at Her Majesty's Theatre in London's West End. 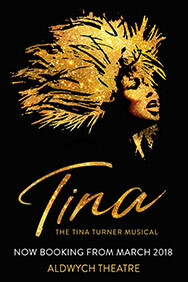 Experience this musical classic live in London, book your tickets from home! Save 15% with this combo deal with London Eye and a London Eye River Cruise! Enjoy the spectacular view from the iconic Coca-Cola London Eye followed by a lovely London Eye River Cruise on the Thames! Book today and save 15% on your tickets! The musical Mamma Mia has to be experienced in London. With music by ABBA, get ready for a musical filled with hits. Book your tickets online! Moonwalking into London's West End, Thriller Live is a celebration of Michael Jackson and the Jackson 5. It's a show for the whole family! Get your tickets for the high-energy show here! Disney's musical phenomenon The Lion King continues to captivate audiences of all ages. The story of Simba is told by a combination of dazzling staging, highly imaginative costumes, masks and puppets. Why pay full price when you can get more family fun for less? Choose our amazing 3-in-1 combo package which gives to access to Madame Tussauds, London Eye and London Dungeon at half price. You will also get the fastest access available with our prebooked tickets. Arranging your family trip to London has never been easier! 런던 아이에서 런던 시내의 멋있는 전경을 관람해보세요! 티켓을 예매하시면 매표소보다 20% 할인 혜택도 얻으세요. 런던 아이 플렉시 티켓을 구매하시면 오픈 일정 티켓이기때문에, 방문하실 날을 당장 런던에서 정할 수 있으십니다. Experience one of the most popular musicals in London! Wicked has won over 100 international awards and the musical has cast its spell over audiences of all ages for a decade. It's actually the 10th longest-running West End musical of all time! Westminster Abbey is one of the world's greatest churches, with a history stretching back over a thousand years and the church is a must-see when visiting London. Book your tickets from home to the world-famous church! Ride the open top double decker Big Bus for one, two or three days and explore London! Hop on and off at over 50 stops on three different routes located conveniently close to famous landmarks and attractions. Enjoy three free walking tours and a river cruise included in your tickets! Book from home and save on your tickets! Buy your Priority Entrance tickets to The London Dungeon here and enjoy the fastest possible access to the attraction. The Dungeon - one of London's top attractions - brings together the eerie history of London in a unique combination of live actors, special effects and rides. Book your tickets online & save 25% with our exclusive discount! Experience Disney's wonderful tale about the street kid Aladdin, who falls in love with Princess Jasmine, live on stage in London. Aladdin the Musical will sweep you into a world filled with magic, adventure, comedy and catchy songs in a breathtaking set-up. Book your tickets today and get the best seats! Hop on the modern, fast and frequent luxury coach shuttle service and get from Stansted Airport and three different points in Central London quickly and cheaply. It's the cheapest option from Stansted to Central London! Book online! The cheapest way to get from Gatwick Airport to central London is with the London Gatwick National Express Coach. It's easy and comfortable! Buy your Gatwick National Express Coach ticket here. 런던 관광은 가장 잘 온 홉과 홉 오프 네 줄의을 따라 여가 런던을 발견 할 수 있습니다 원래 투어 버스와 함께 이루어집니다. 이 런던 아이 티켓을 구매하시면 회전 관람차에 빠른 입장 및 15% 할인 혜택도 됩니다. 편리한 Fast Track 및 자유로운 오픈 일정 입장권을 예매하고 싶어하시면 Fast Track 플렉시 티켓은 최고의 옵션입니다. Enjoy this unique award-winning sightseeing cruise on the River Thames! See many of London's incredible sights and attractions. Located just below the London Eye, it’s the perfect add-on to a trip on the iconic Ferris wheel. Les Misérables is a must-see when in London! This international award-winning musical sweeps its audience through an epic tale of passion and destruction, against the backdrop of a nation in the grip of revolution. Make sure to book your tickets for this popular musical from home! From the creators of South Park, The Book of Mormon is the funniest and hilarious musical - ever! The musical won 9 Tony Awards including Best Musical! Make sure to book your tickets from home for this popular musical! School of Rock follows Dewey Finn, a failed, wannabe rock star who decides to earn a few extra bucks by posing as a substitute teacher at a prestigious prep school. Completely disinterested in academic work, Dewey decides to create his own curriculum, turning his class into a guitar-shredding, bass-slapping, mind-blowing rock band. Don't miss out on this musical treat, book your tickets in advance! Book your skip the line tickets online and avoid all the lines! SEA LIFE London has one of Europe’s largest collections of marine life and is a must-see for anyone who's interested in sea life. At SEA LIFE London, you can among many things experience over 500 species and plants, see over 40 sharks from 12 different species, meet a Gentoo penguin and experience the fascinating world of jellyfish in the new exhibit Ocean Invaders. 북유럽에서 가장 큰 교회중에 하나 세인트 폴 대성당을 (St. Paul’s Cathedral) 방문하세요. 그장소의 흥미로운 역사에대해서 더 알게 되시며, 올라가셔서 런던의 경치를 돔 꼭대기에서 즐기세요. Experience Matilda the Musical in London's West End. Children and adults alike will be thrilled and delighted by the story of the special little girl with an extraordinary imagination. Treat the whole family to this sweet and funny musical experience! From humble beginnings in Nutbush, Tennessee, to her transformation into the global Queen of Rock'n'Roll, Tina Turner didn’t just break the rules, she rewrote them. Don’t miss this world premiere, when it opens at Aldwych Theatre in London spring 2018! Get your tickets already today! Travel to and from Luton Airport by Govia Thameslink train to central London in about 45 minutes. Get off at one of five stations in central London. Buy your ticket for Luton airport train here! 서유럽에서 가장 높은 건물을 참조하십시오. 파편에서보기 당신을 놀라게 할 것이다. 런던의 랜드 마크 중 대부분은 여기에 런던 타워, 런던 아이 (London Eye) 등에서 볼 수 있습니다. 여기에 파편에서보기 위해 티켓을 구입하세요! Experience three of London's coolest family attractions - Madame Tussauds, London Dungeon and SEA LIFE London! If you buy your 3-in-1 London Combo Package online you save 50% compared to buying the tickets individually at the door. The 3-in-1 London Combo Package is only available online! 에미레이트 스타디움은 런던에서 핵무기 경기장 60.000 석 이상으로 정말 인상적입니다. 여기 런던에서 아스날의 경기장의 우리의 투어 티켓을 예약! ZSL 런던 동물원 (London Zoo)에서 모든 놀라운 동물들과 가까이에서 직접 가져옵니다. 원숭이에서 기린 난해한, 무서운, 가장 높은 및 작은 동물을 만나보세요. 여기 ZSL 런던 동물원 (London Zoo)에 티켓을 예약! 55 이상 대화 형 놀이기구와 관광 명소로 LEGOLAND® 윈저 리조트에서 당신의 마음의 콘텐츠를 재생할 수 있습니다. 무시 무시한 용을 탈출 바이킹 함대와 스릴 만점의 급류를 타고, 또는 마법의 수중 모험에 레고 다이버 가입 나무를 통해 비행. 켄싱턴 궁전은 런던의 중심부에 위치한 아름답고 새롭게 단장 한 궁전이다. 왕과 여왕 아파트먼트 궁전 정원을 방문하십시오. 여기에 런던 켄싱턴 궁전 (Kensington Palace)에 대한 예약 티켓. 스탬 포드 브릿지, 첼시 FC의 고향의 투어는 세계 최고의 축구 팀 중 하나의 배후에 소요 일반적으로 선수 및 관계자에 대한 예약 영역에 액세스 할 수 있습니다. 또한 첼시 FC 박물관에 액세스 할 수 있습니다. 티켓 팝니다! Book your ticket to the National Express shuttle bus airport transfer and get into London cheap and fast! Choose between route A1 between Luton Airport and London Victoria Coach station or with route A2 between Luton Airport and Paddington Station. The buses run with frequent departures every hour and the journey time is only around 75 minutes. it's the cheapest option from Luton to London! The London By Night Tour has been specially designed to show you the very best of London's famous landmarks, all beautifully lit up in the night sky. The tour takes place from a classic London Bus with an open top, so you can get a great view of the city.